In a bid to maximize the benefits of its global search operations, Omnicom Media Group is re-branding search agencies it uses in 40 countries under the Resolution Media banner, which it acquired in 2005 and had previously just operated in the U.S. The rollout, which represents roughly $2 billion in search billings globally, is expected to be completed in the coming weeks. The benefits are expected to include improved pricing leverage on behalf of clients and optimal use of data and marketplace knowledge. 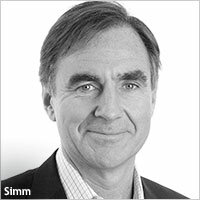 Nonclients will be made aware of the scaled capability that Omnicom has assembled globally as stand-alone search pitches become more common, said Daryl Simm, CEO Omnicom Media Group. With a global team of 700 staffers, the Resolution operation will implement the search needs of OMD, PHD and other Omnicom clients around the globe in concert with media agency planners. In addition to the U.S. and Canada, the search agency now operates in Europe, Asia, Australia and Latin America. Resolution will continue to be overseen by its president, Alan Osetek, the former managing director of iProspect, a unit of Aegis Group’s Isobar. He joined OMG in January 2011 to run Resolution. He reports to Scott Hagedorn, CEO of Annalect Group, Omnicom Media Group’s digital data and analytic company. The technological heavy lifting of connecting its search agencies globally has been ongoing for years, said Simm. “As we’ve built it up -- we’ve always done it on an integrated basis,” he said, essentially because global Omnicom clients like HP, Intel and Visa have needed a global search presence. “Our clients know about our capabilities in global search, but clients we don’t have don’t know about them. So from a branding standpoint, it makes sense to formalize it” to better showcase the scale, and to leverage potential in terms of technology transfer, data management and pricing with search and digital vendors, he said. Stand-alone global search pitches are a relatively new phenomenon. “We saw a few of them last year, and we hadn’t seen them before,” Simm added.